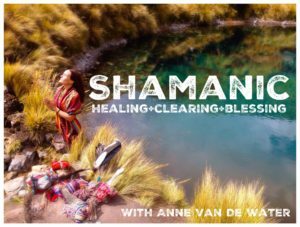 Join me for a Shamanic inspired deep healing session on The New Moon that will help you to clear, cleanse, release and let go of stress, tension and heavy energy from your bod, mind, heart and Soul as you receive the blessings of reconnecting with Nature, your truest, deepest and highest Self and your Spirit. This session includes gentle movement, reclining deep relaxation, guided meditation, The Emotional Freedom Technique, sound therapy, hands on healing, Shamanic cleansing practices, group sharing and powerful writing and intention setting exercises. Our core focus for this Shamanic Healing, Clearing and Blessing will be Soul Retrieval. Across the tides of time you have had countless experiences. Oftentimes during challenging life situations with people, places and things, it is difficult to fully process everything that is happening internally and externally.During those times it can feel like little fragments of your Soul get caught up in the past making it difficult to be fully present here and now, which is where all of your true power resides. Without full access to your Soul’s power, life can feel stagnant. Having full access to your Soul’s power gives you the capacity to create a life of true fulfillment. Through a powerful Guided Meditation we will courageously journey back to a past experience of your choice to retrieve the energy of your Soul and bring it back home to present time. With this reclaimed energy of your Soul you can move forward in life with a greater sense of wholeness, empowerment and an inspired new vision of what is possible in the future. After our session we will gather around the fire under the gentle light of the New Moon, stars and planets to connect and share with each other.